In the United States, drones have interfered with aircraft trying to put out wildfires. They have buzzed dangerously close to jets taking off at airports and have irritated fans at sports events by hovering over stadiums. Now federal regulators, hoping to discourage mischief and negligence among drone pilots, are proposing a new system to require owners to register their unmanned aircraft. At an event in Washington on Monday, the transportation secretary, Anthony Foxx, said the department had formed a task force to come up with the details for the registration process. The task force will be composed of more than two dozen representatives from the drone and manned aviation industries, federal government and other groups. Mr. Foxx asked the group to deliver a report with its findings by Nov. 20, with the goal of putting them into place by December, an unusually speedy process for a new aviation rule with the potential to affect millions of drones. Mr. Foxx said the department was motivated to act fast because of growing reports of safety violations by drones, and because the devices are expected to be big sellers during the holiday season. “We feel the level of urgency here is sufficient for us to move as quickly as we possibly can,” he said. Some drone makers were concerned, though, by the lack of detail about how the system will work and the speed with which the task force has been ordered to work out those particulars. Many questions about the regulation are unsettled, including exactly which drones are considered so harmless that they should be exempt from the new rules. The department said the regulations would not apply to toys and other small drones that posed low safety risks. 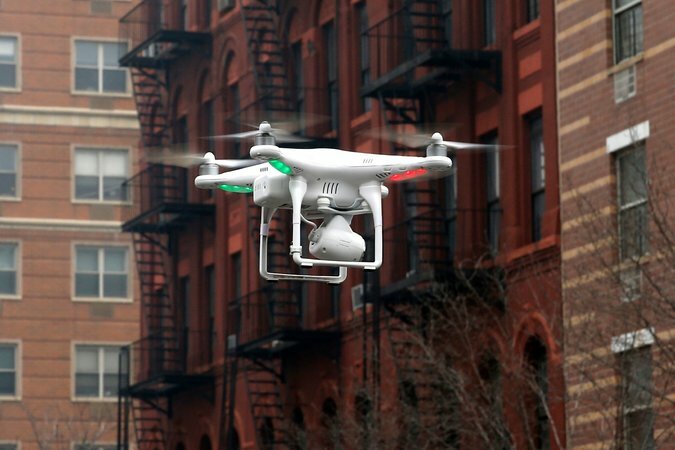 It is not clear, for example, whether drones registered with the government will have to be physically labeled with the equivalent of a vehicle license plate – using a sticker, perhaps – or whether drones will be configured to electronically broadcast a unique registration number. A sticker could be useful if law enforcement officials are able to take possession of a drone after a crash. But it might not be as helpful if drone operators simply flew their devices away. Anyone who fails to register a drone could face civil fines up to $27,500 and, if warranted, criminal penalties up to $250,000 or up to three years in jail, or both, according to a spokesman for the Federal Aviation Administration. He said the rule would apply to drones already sold, not just new ones. Recreational fliers of drones do not have to be licensed, though there are stricter rules for commercial operators. The registration proposal is just one of many measures that federal regulators are taking to open the skies to drones operated by civilians. The Federal Aviation Administration, which is part of the Transportation Department, has also introduced public education initiatives, including a “Know Before You Fly” campaign aimed at spreading awareness about aviation rules among drone operators. A “No Drone Zone” campaign uses signs showing a slash through a drone to let operators know where the devices are prohibited – near airports, for instance.